We've put up a billboard in Los Angeles (on Glendale Blvd) to make people more aware of Scientology Disconnection, as well as hopefully entice those in Scientology to take that step of calling their loved ones, family, friends, or whoever they have disconnected from due to pressure from the Church of Scientology. In order to do this we’re trying to raise enough money to keep the billboard up as long as we can. We are putting up a portion of the money ourselves because we have 2 kids in Scientology who have disconnected from us due to the Disconnection Policy and duress from within the church, but will need help to get the rest of the way. So for the Clearwater billboard Willie and I will be putting up most of the rest of the money on it so that we can get it booked. We learned with the LA billboard that these can get booked out from under us pretty quickly. I will try to get it booked by Monday. Any additional donations between now and then would be most welcome. 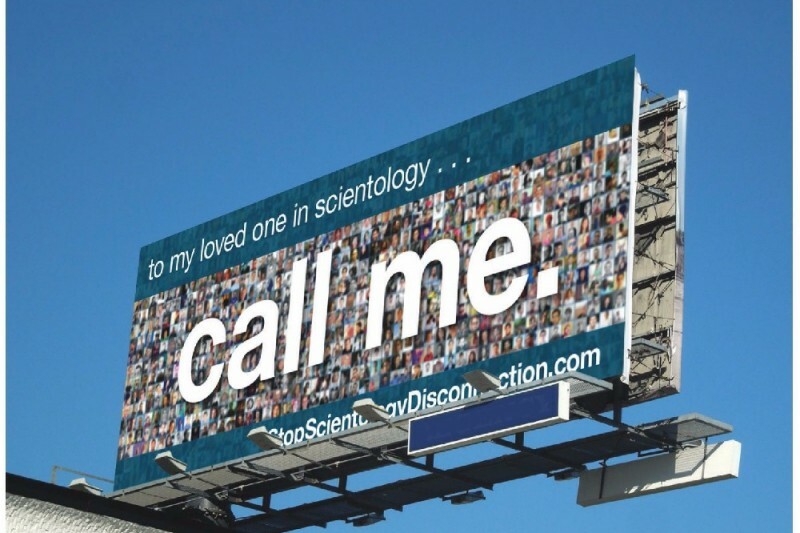 Your support of our Los Angeles StopScientologyDisconnection "Call Me" billboard has created a huge international effect. After the great success with our Los Angles billboard we heard from many people in Clearwater, FL who had been affected by Scientology disconnection and would like to see one there. The goal for now is to get enough to pay for the printing plus the first month of a Clearwater billboard. Any additional money we get will go to additional months of keeping the billboard up. With what we have now, if we can get in an additional $500 I can secure and pay for the billboard well into September. It's only an extra 2 week block from where we are but I think worth it to grab it now while it's available. I just made a change to the goal to up it a bit to make it $25K. With what we now have, if we get to that mark we'll have enough to book through September.